Macs Need Antivirus Protection Software, Just Like Any Other Computer! 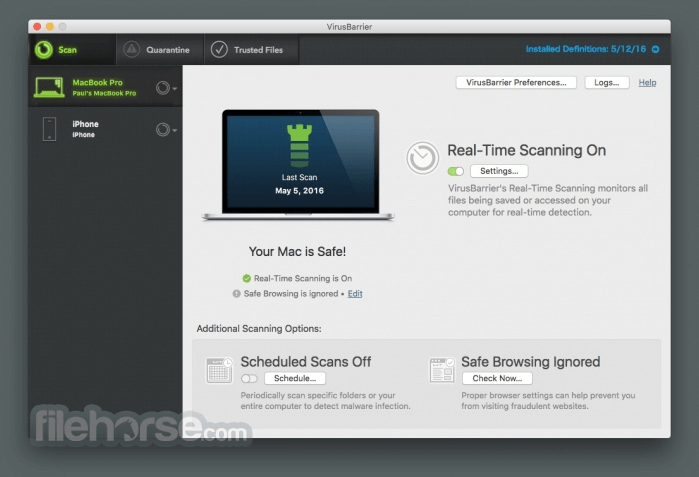 Intego VirusBarrier for Mac provides real-time antivirus protection for Macs, and scans files whenever they’re accessed to keep your Mac free of malware. Our Mac antivirus software automatically checks for the latest updates to make sure you’re protected against the newest threats. 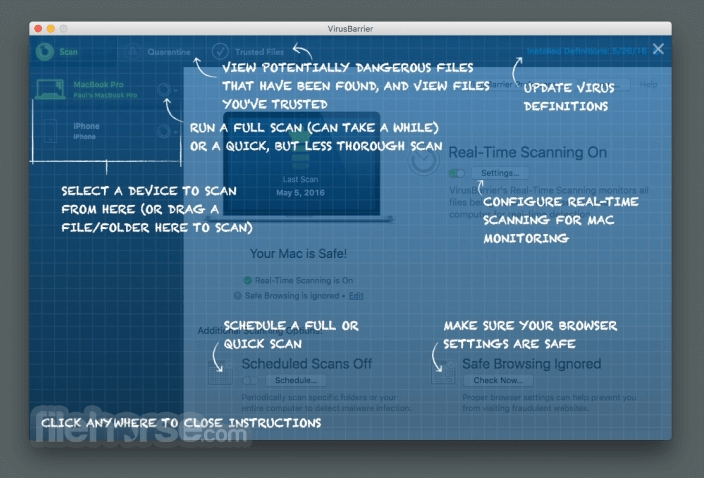 Intego VirusBarrier not only protects you from existing Mac threats, it detects PC-based malware so you don’t spread infected files to friends, family, or work colleagues. 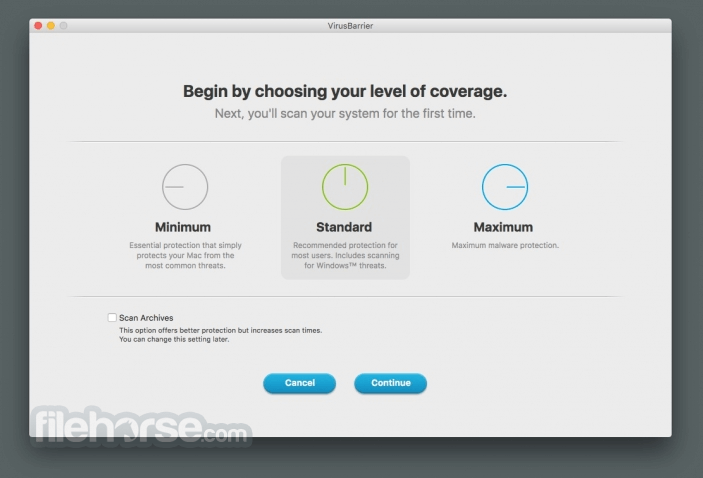 Antivirus protection from Mac and Window’s malware! 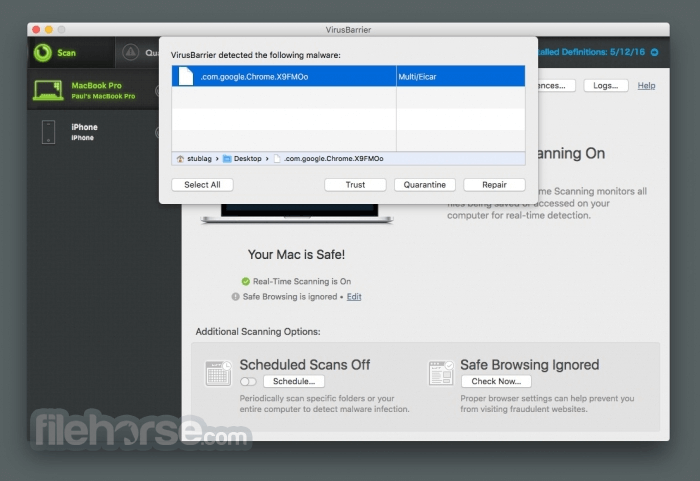 Mac users have been misled by the common myth that “Macs can’t get viruses,” and that antivirus software is unnecessary. The reality is all machines are vulnerable, and devious cyber-criminals use a variety of malware that threatens Macintosh computers. Worse yet, they’re not just targeting Macs—they’re after your sensitive personal information and your money. You can protect your Mac and your precious data with Intego VirusBarrier for Mac, the award-winning Mac antivirus software. 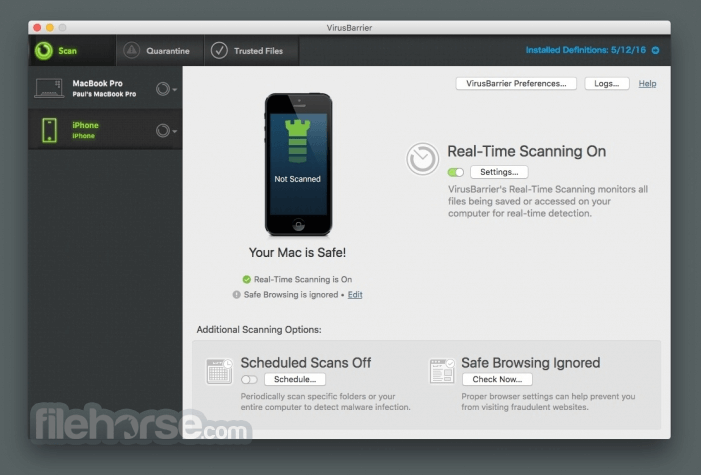 Antivirus protection against both Mac and PC malware! Intego VirusBarrier for Mac scans and detects malicious files received via email on your iOS devices whenever they’re plugged into your computer, and prevents your iPhone, iPad or iPod touch from passing malware to other computers.